Enjoy these Modern & Classic Greek tracks on Rockbot. 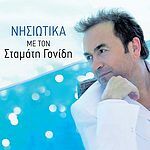 This Modern & Classic Greek playlist is perfect for your business and has 795 fully licensed songs. ... and 765 more songs!